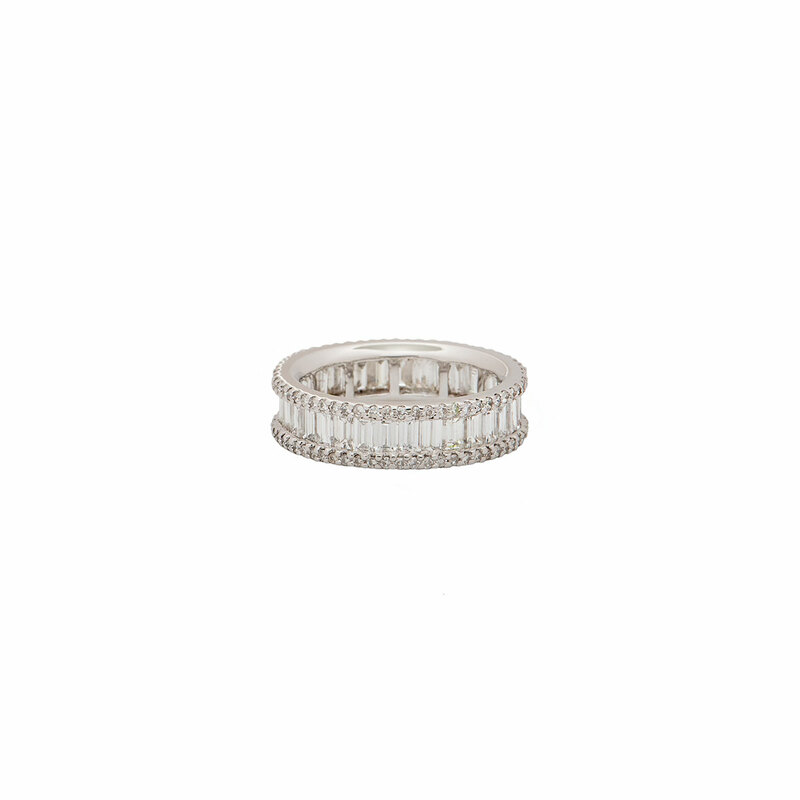 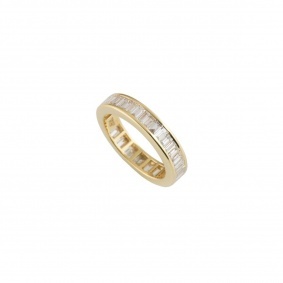 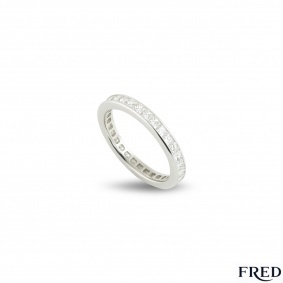 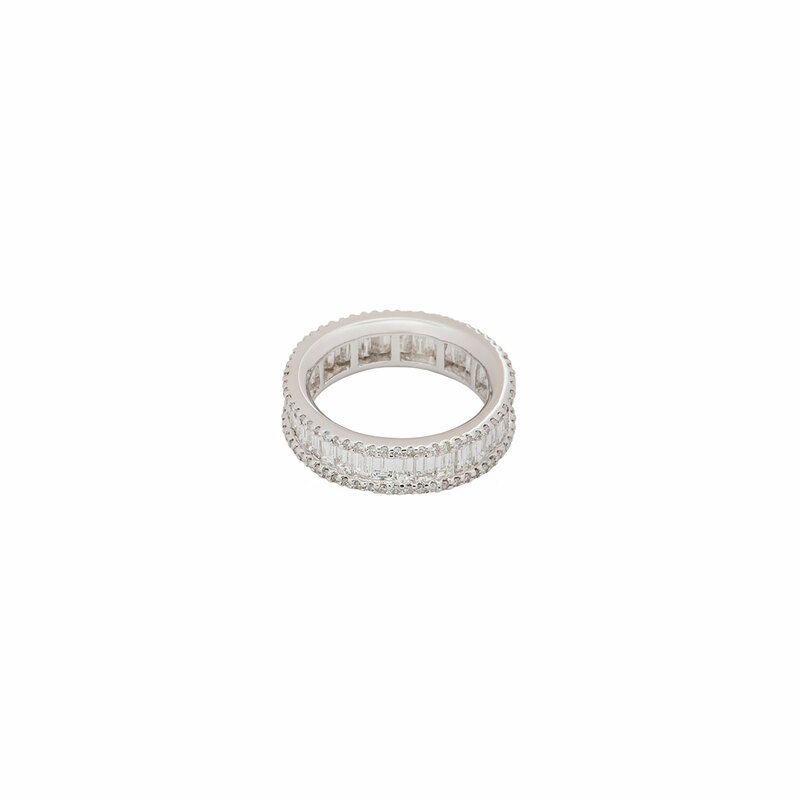 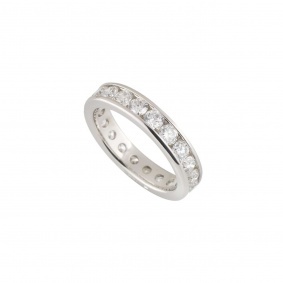 An 18k white gold full diamond eternity ring. 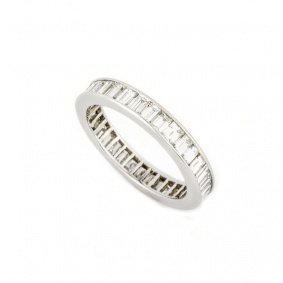 The ring comprises of approximately 35 baguette cut diamonds in a channel setting and approximately 114 round brilliant cut diamonds. 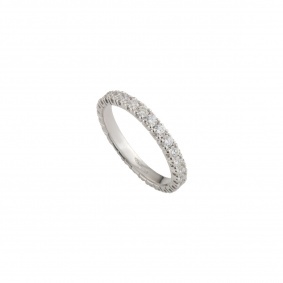 The baguette cut diamonds have an approximate weight of 1.40ct and the round diamonds have an approximate weight of 0.76ct. 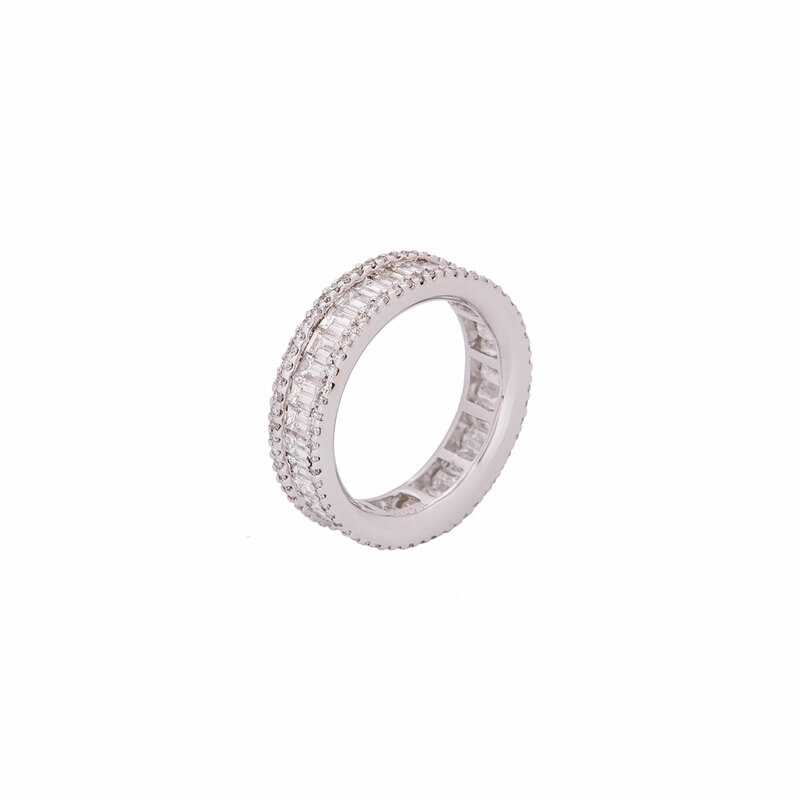 The ring is a size N with a width of 0.60cm and a gross weight of 5.70 grams.